Yesterday I showed the home of Piia on the blog, and I am still dreaming about that all black kitchen, have a look at it here if you missed it! 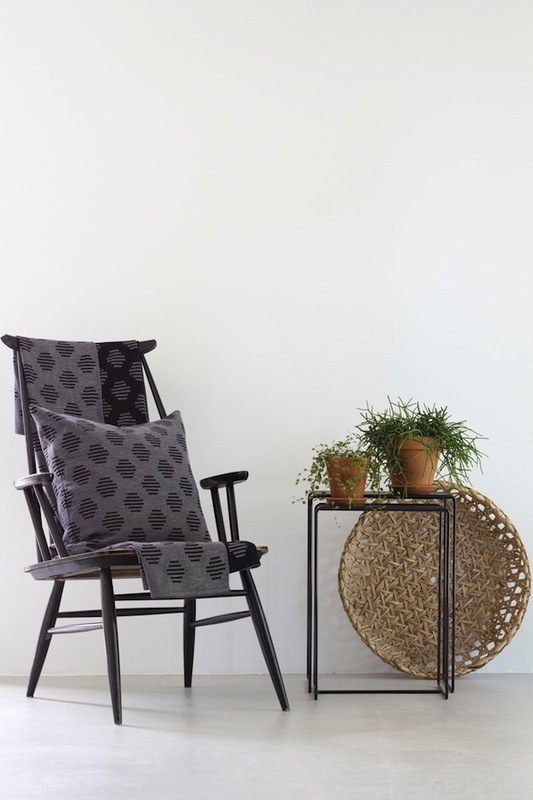 I slightly mentioned that next to her work as an interior designer Piia also is a textile designer. Together with Marika Lehti she runs 1kertaa2 (1x2), the name comes from a knitting term but also means colleagues. Piia and Marika met years ago at a design school in Kuopio where they both studied fashion design. Marika works as a fashion designer but Piia started working in interiordesign and now works both as designer and journalist. With 1kertaa2 she can combine all her experience in the different fields. 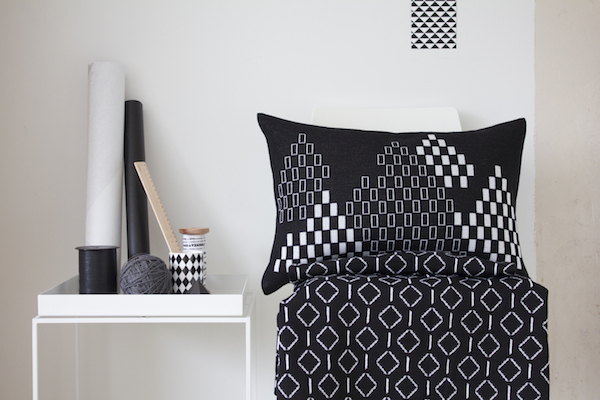 Their 1kertaa2 collection consists of different knitted interior decoration products with designs based in Scandinavian graphic minimalism and taking a unique perspective on contemporary patterns that create the 1kertaa2 style. 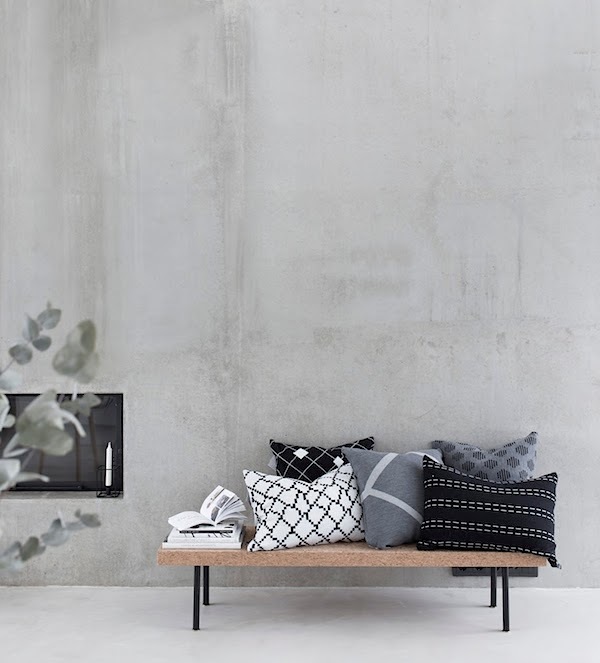 Colour schemes are minimalistic, black, white and the natural gray of wool combined with seasonal colours, all products are made out of merino wool and produced in Finland.